1.When I first began writing Keeper of Reign in 2008 it was just a story I made up for my five kids. They wanted a fun, adventure story set in a fantastical setting and as a mom, I wanted the story to be more than just a fairy-tale. I wanted them to learn about loving each other–as they grated on each other a lot –and the importance of family, and the value of persevering and so on. So I wove these themes into the tale, at the time titled Kingdom of Reign. Then I thought, hey, maybe I could publish this… hence the journey to self-publishing. But when it came to publishing, and marketing, each book has to fall into a neat tidy box…Fantasy? Mystery? Adventure? Who’d have thought categorizing was so important. 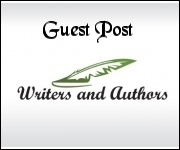 I certainly didn’t think about genre when I first wrote. I wish I knew the significance of genre before I even thought of my book, but if I were really concerned with genre, maybe my imagination might have been curtailed. 2.That writing a book is one thing, getting published, another thing, and then to market the book, is something totally different altogether. Three different animals living under the same roof. 3.If you’ve written a book, the next step is to decide if you want to get it traditionally published, or self-publish. Both have their pros and cons. 4. Traditional publishing is about making money, and while there is nothing wrong with that per se I had to ask yourself, did I write this for the money (which is a nice thing) or did I write this to say something which I feel could be beneficial to children–which is another thing. 5. How much money do I want to make from my books? I can tell you I have spent more time and money than I have recuperated, and talking to other authors this seems to be the trend. At least until the author becomes a household name, which could take several years. For instance have you heard of Suzanne Collins before Hunger Games? She wrote a series for kids a decade ago. Or how about Cornelia Funke before Ink Heart? 6. That books are so subjective and that I don’t write to please everyone. People’s opinions about the same book can be so contradictory. Some people may love the same book, that some others may hate. I guess it’s like Starbucks, everyone has his or her own little take on what makes a great coffee. 7. That there are so many published books out there. And so many are free! 8. That books these days have better longevity than in the past thanks to e-books. 9. That thousands of books get returned and pulped! What a waste. This is one reason I prefer e-books. 10. That most authors spend years crafting each book, which for the most part can be read in a few days, and costs a whopping .99cents. Emma Right is a happy wife and Christian homeschool mother of five living in the Pacific West Coast of the USA. Besides running a busy home, and looking after their five pets, which includes two cats, two bunnies and a Long-haired dachshund, she also writes stories for her children. When she doesn't have her nose in a book, she is telling her kids to get theirs in one. Some good points indeed. However, Traditional publishing isn't necessarily about money. Many small traditional presses spend money, time, and effort to produce a good book but seldom, if ever, see any return. Many authors go the traditional route to avoid the stigma of "self-published," yes, no matter what some folks say there is still a stigma. Some authors just like the idea of being published by a company.